Summer is the long-awaited season for fun and relaxation, warm weather and quintessential outdoor activities. However, the season’s most anticipated and exciting events can also lead to a not-so-fun problem: nausea. Whether it’s chasing kids through the park, dreaded long commutes in the heat or seeing the season’s newest 3D blockbuster, plans can quickly be ruined by the onset of nausea. According to a new survey from Dramamine-N, nearly one third of Americans note that nausea is debilitating and gets in the way of living their everyday lives. In fact, nausea is making stomachs so uneasy, that more than one in ten Americans actually have a fear of nausea and vomiting, called emetophobia, placing that fear on par with the fears of flying and needles. Don’t let nausea spread dark clouds over your bright, sunny day. When nausea strikes, follow these tips to ensure summer is as carefree and exciting as it should be — free of fear and full of fun. Heat exhaustion is a common problem many people may encounter during the summer and it often results in symptoms of nausea, like dizziness and vomiting. When staying outside for a prolonged period of time, be sure to wear sunscreen or a sunhat to protect the skin from direct sun exposure and take breaks in the shade or indoors whenever possible. If at outdoor social gatherings, limit the intake of alcohol or sugary drinks, which can further dehydrate the body, potentially leading to nausea. 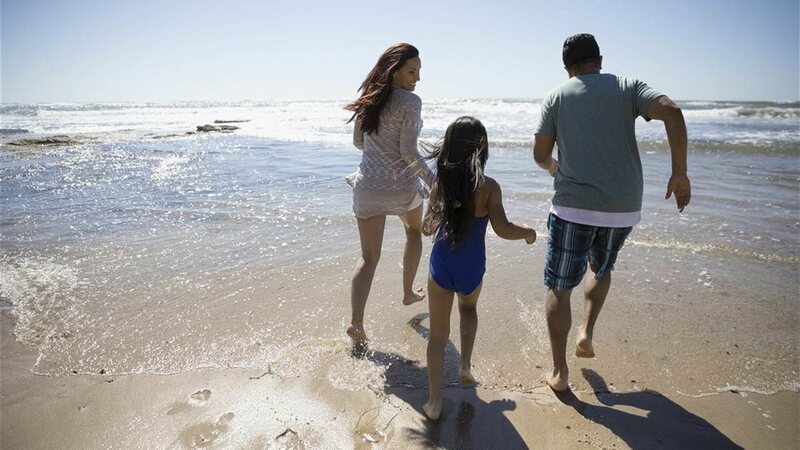 Whether packing a beach bag for a day in the sand, stuffing your carry-on with travel essentials or stocking up for a hot day at a theme park, it’s important to be prepared for any summer ailments that might strike. When it comes to nausea, pack Dramamine-N, a line of two new products specifically formulated to treat nausea and its associated symptoms. Dramamine-N features both a long-lasting formula for up to 24 hours of protection from nausea, dizziness and vomiting, and a multi-purpose formula that treats a broad range of nausea causes. At the onset of nausea, it can often be hard to think about anything else. Focusing energy on deep inhales and exhales can calm nausea-induced anxieties and stressors, while also physically relaxing tense stomach muscles. Try downloading a breathing exercise app to help guide each breath, focusing on those deep breaths. As temperatures rise, so can unpleasant smells. A pile of unwashed wet towels from the pool, strange fishy smells by the beach and an array of sunscreens and aloes on a hot summer day can be enough to make anyone’s nose (and stomach) turn at the unpleasant mix of odors. To avoid summer stenches triggering symptoms of nausea, try using a lotion that has calming lavender smells or bringing a travel-sized air freshener around with you to help mask bad odors when they arise. Regardless of the cause, when nausea strikes, it’s important to be armed and ready by employing these tips to help quickly and efficiently combat nausea to get back to enjoying all the fun summer has to offer. For more information on relieving and preventing nausea and its associated symptoms, visit Dramamine.com.